A PERFECT ESCAPE! Tucked away at the end of a quintessential Woodstock country lane sits this cozy cottage with a modern touch. Surrounded by woods, this historic property was an original cottage in "Flat Rocks," an artist residency compound in the 1940's. The sun drenched bedroom on the main floor would be perfect for an artist or writer. The second bedroom is upstairs in the airy, open loft. The current owners did many updates in the bathroom and kitchen to give this sweet cottage a contemporary feel. Sit by the original stone fireplace on a wintery night. Lounge on the quiet, secluded, stone patio on a summer day surrounded by the sounds of the Catskills - an idyllic spot for a farm-to-table BBQ. A stones throw from Woodstock, Phoenicia, endless Catskill trails, Wilson State Park, and Hunter and Bellayre Ski Areas. 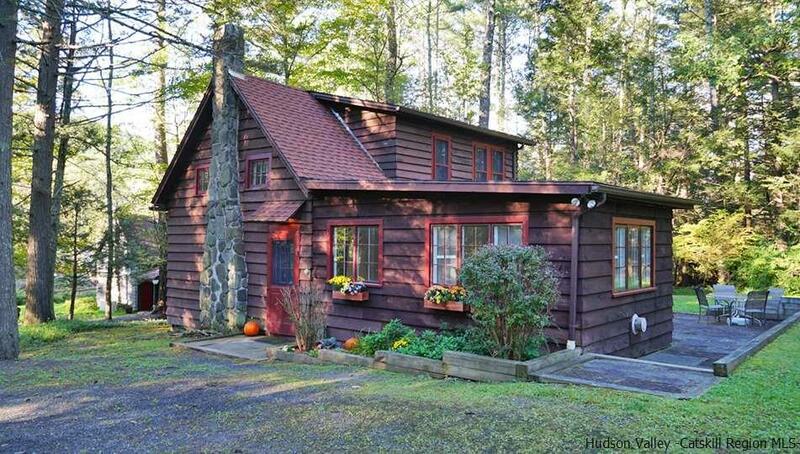 This property is the perfect hideaway, yet it is close to all the Hudson Valley has to offer.